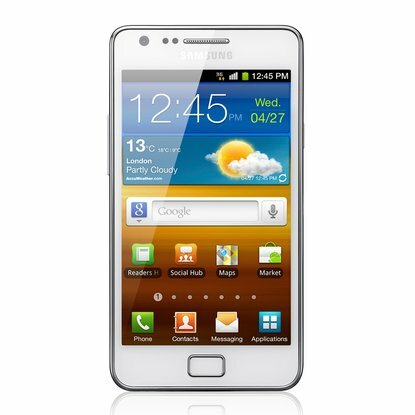 The Galaxy S II is an iconic device in Samsung's line-up. It had a big role in changing the public's perception of Samsung's brand and establishing it as a major smartphone player. But in our day and age, at a time when the S7 is about to be announced, the S II is getting long, really looooooooong in the tooth. It's a 5-year old device by now and its specs (dual-core 1.2GHz processor and 4.3" 480x800 display) can hardly be found in the lowest of the low-end Android phones. It does have 1GB of RAM and 16/32GB of storage though, which make it a potential candidate ripe for more modern Android ROMs. Talk about a blast from the past: the Sprint Galaxy S II, released way back in 2011, now has official CyanogenMod support. Most of the other international and regional versions of the GSII are already supported to some degree, but I'm sure there are more than a few Sprint customers who are happy to see the most popular custom ROM family come to their devices. 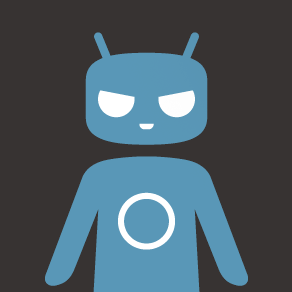 There's one nightly of CM10.1 (Android 4.2) available at the time of writing. The phone's official title is the Sprint Samsung Galaxy S II Epic 4G Touch, because someone at Sprint knows how to start naming a device, but doesn't know how to stop. 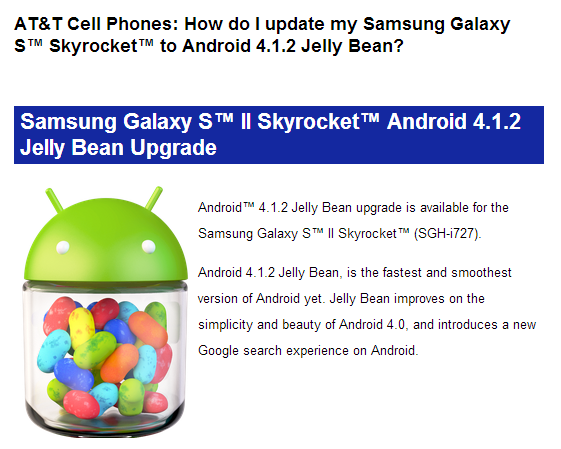 You know the spill by now: Samsung is pushing Jelly Beans to umpteen hundred Galaxy devices, yadda yadda yadda. 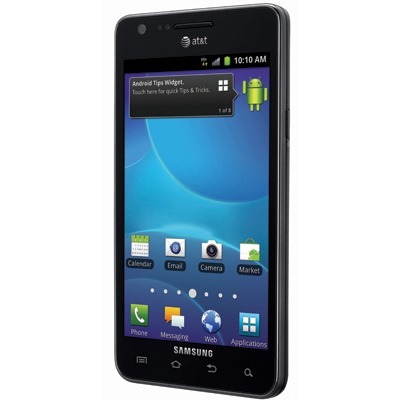 Now, it's the Galaxy S II Skyrocket's turn. We haven't heard anything about this phone in some time, so to see this update make its way to the airwaves was quite a welcome surprise. Like many of the Jelly Bean updates for other Galaxy devices, this one appears to be rolling out exclusively via Kies – at least for the time being. There's always the off chance that AT&T could start pushing it via OTA as well; if it's like the others however, it's nearly a gigabyte in size, so OTA may not be the best way to go. The Jelly Bean rollout for Galaxy device has been fast and furious as of late, with Samsung making the update available to nearly all of its current and former flagship devices. 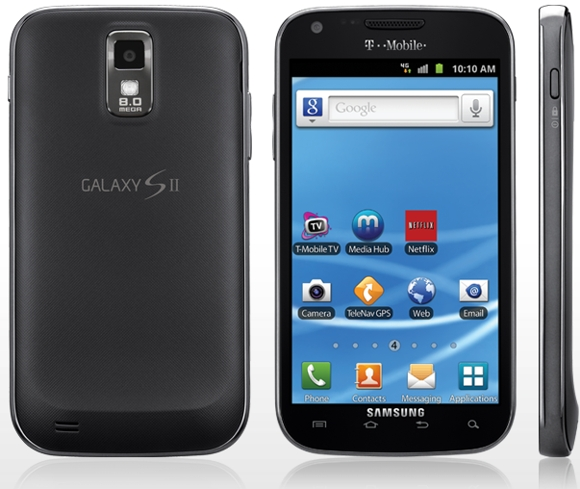 Today's the day for T-Mobile's version of the Galaxy S II – but the download is only available via Samsung's Kies software. In order to pull the update, you'll need to be on the latest official firmware from T-Mobile, and must have at least 50% battery. Otherwise, grab the newest version of Kies, plug up, and get to downloading – the 756MB file is going to take some time on slower connections. Go ahead and file this one in the Super Cool Tech category. A Russian blog, Rozetked.ru, posted video of a Galaxy S2 running two copies of Android at the same time. 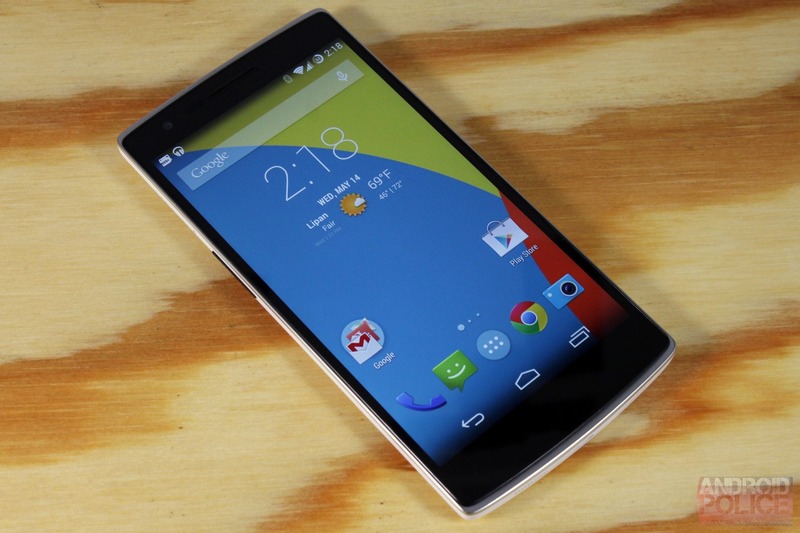 The three-and-a-half minute video takes us through a demo switching between a pair of ROMs while playing music from both, proving that the hardware resources can be shared. After the audio segment, we are shown decently high frame rates on a 3D benchmarking app and Angry Birds. According to the team behind the project, running two concurrent instances of Android only takes about 10% off of battery life while the impact on system speed is negligible. 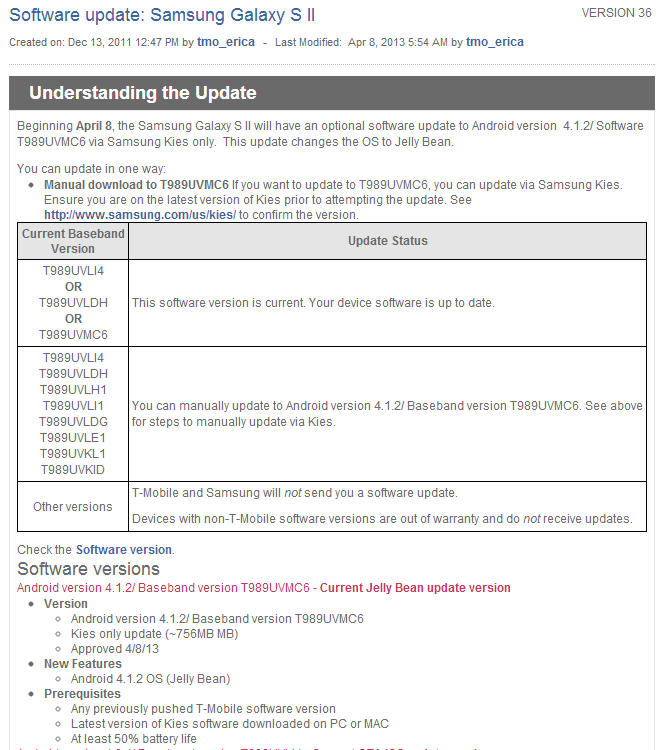 According to a forum post on AT&T's support site and some scattered user reports, the carrier's Galaxy S II variant is receiving a small update today. Rolling out over the air as you read these words, the software fixes an issue where devices would become unresponsive or power down while idle. The update also includes the requisite "security enhancements." If you haven't updated your phone to 4.0 yet, well for starters, why not? Secondly, you'll need to do so first before you can apply the update. This is rolling out over the air, so hit your Settings app to find it or just wait for the notification to show up. We sure weren't expecting this, but today Sprint announced on its support site that the Epic 4G Touch (the Now Network's branded version of the Galaxy S II) is getting an update to Jelly Bean. Undoubtedly version 4.1, but this would still be a welcome upgrade as it brings with it the ability to access Google Now, among a host of other features. The update will require Samsung's Kies software to install. Apparently the file size is too big to rollout over the air. Though, if we had to guess, the fact that the device is nearly two years old by this point and is relatively low-priority for Sprint played a factor in the decision to let consumers foot the bill for the bandwidth. Samsung recently starting updating its aging-but-not-dead flagship phone from yesteryear (OK, technically it was the year before that, but yesteryesteryear isn't a thing) to Jelly Bean. And when Samsung updates things, you know what that means, right? Source code. 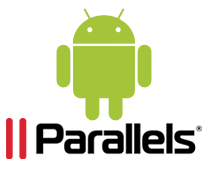 Because a new version of Android brings with it a new kernel. And Android modders want new source to go along with that new kernel. So Samsung delivered, as always. 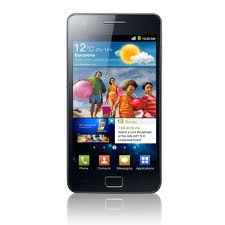 This go around, it's uploaded the kernel source for the Galaxy S II i9100, as well as Bell Canada's variant, the i9100M BMC. So, if you maintain a ROM, want to tweak some code, or some other third thing – you can hit the appropriate link below to grab the download.